Objectivity is of utmost importance to—and is accordingly prioritized by—some of the most influential members of American society. 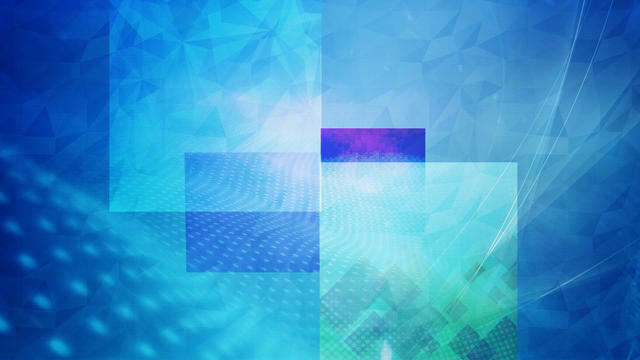 Conventionally, this emphasis on objectivity is thought to reinforce the expectations for these individuals’ behavior, conduct of the highest moral and spiritual caliber. For judges, the oath of office dictates that they “will administer justice without respect to persons, and do equal right to the poor and the rich.” In journalism, the industry-wide obligation to report the whole truth and nothing but the truth steers reporters clear of irresponsible or manipulative coverage. But what if the implicit promise of these professions — to maintain and further objective truth — is forgotten? Or, worse yet, what are we to do if these standards were unattainable to begin with? In most cases, objectivity is simultaneously a non-factor and an unrealistic aim. Many of the aforementioned individuals try to minimize the influence of their subjective views, and admirably so, but these attempts inevitably fall short. Instead of striving for crystalline objectivity, a diverse breadth of subjective views should be acknowledged and consciously synthesized to achieve something proximal, even superior, to objectivity. Because individuals have distinct experiences and circumstances, objectivity is a fatally lofty goal for which to aim, both philosophically and situationally. As early as elementary school, children begin considering whether their view of the world is the same as that of their peers. Often, this curiosity manifests in the visual interpretation of colors. “What if we see different things for the color red?” a seven-year-old may wonder. Although an inchoate idea, in this way even a child can strike at the central problem with objectivity: it is ultimately impossible to tell if each of us perceives the world in the same manner. This notion also reveals far more about objectivity’s flaws than possible ocular variation. Just as our perception of colors may not be shared, the objectivity of our individual experiences is corrupted by the way in which we interact with and experience the world. Whether because of race, gender, religion, or class, each person’s ride on this roller coaster — or, as some may see it, lazy river — we call life will be unique. Even those tasked with expertise in a given field, such as food critics, automobile columnists, and sommeliers, often struggle with objective reviews of their respective products. Most famously, wine reviews seem to have only a marginal basis in objectivity. Of course, wine-tasting is a necessarily subjective pursuit, but even sommeliers cannot maintain a consistent subjective framework. Wine competitions, as judged by professional wine-tasters, seem to award top placings virtually at random. Robert Hodgson, a retired oceanographer and vineyard owner, first investigated this phenomenon in 2005 at the California State Fair wine competition and found remarkable variance in judges’ preferences and scores. An article in The Guardian, which cites Hodgson’s research, explains how little a wine competition’s winner has to do with its objective characteristics: “some [white wines] rated as gold medallists in one contest do badly in another. [Red wines] adored by some panels are dismissed by others.” Similarly, an average consumer of wine or any other high-end product cannot objectively appraise goods. Subjects in numerous studies have favored wines that are supposedly pricier even if their “cheaper” counterparts are, in fact, the exact same brand and product. This sort of perceptive trickery has been demonstrated with a number of other products, like water and medicine, and by adjusting a wide range of variables, including scarcity and presentation. Although through different means, these studies illustrate one unfortunate reality about people: our minds cannot objectively assess the world around us. Rather than irresponsibly placing weight on objectivity, an ideal that is functionally nonexistent, we must actively seek out and understand diverse thought and opinions to more closely render the truth. The existence of individuals’ perspectives is seldom questioned, so personal truth can serve as a far better lens through which we can analyze the world, especially in comparison to errant attempts at objectivity. As Ralph Waldo Emerson recounts in his speech “The American Scholar,” delivered to the Phi Beta Kappa Society at Cambridge in 1837, “[t]he scholar of the first age received into him the world around; brooded thereon; gave it the new arrangement of his own mind, and uttered it again.” In this way, “[the world] came into him, life; it went out from him, truth.” Emerson describes the necessarily individual and sacred process of personal reflection, spurred by simply immersing oneself in life, which produces subjective thought. No matter the extent to which the scholar processes “the world around,” his or her mind will have rendered its perspective distinct from those of others as a function of not only natural input and biological variance but also cultural present and past: “As no air pump can by any means make a perfect vacuum, so neither can any artist entirely exclude the conventional, the local, the perishable from his book, or write a book of pure thought.” Regardless of to what extent, environment will naturally alter thought, taking with it any hope of even mere individual objectivity. 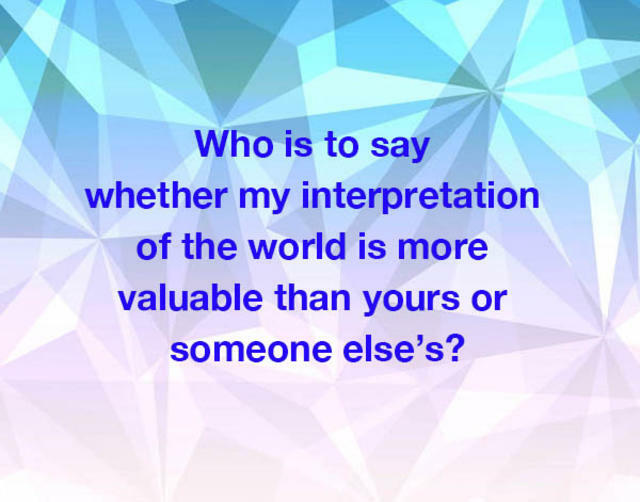 This individual variability should be accounted for and leveraged to form a rational and cohesive perspective, for who is to say whether my interpretation of the world is more valuable than yours or someone else’s? Although a collective consideration of the personal views Emerson describes is valuable, Chimamanda Ngozi Adichie, a Nigerian author, rightfully warns against the acceptance of any individual’s truth as objective, or even complete, in her TED Talk, “The Danger of a Single Story.” She explains that “[i]t is impossible to talk about the single story,” the general description of an entire people, “without talking about power.” The hierarchy of relative societal privilege, determined over years of cultural interplay, defines this sort of brash storytelling. Power dictates “how [stories] are told, who tells them, when they are told, [and] how many… are told.” These types of generalizations, which pervade every aspect of mainstream culture and media, can be temptingly easy to accept. In some communities, certain beliefs are so universally accepted that they seem functionally objective, taken for granted, like the overwhelming subscription to climate change in scientific circles, Catholicism in Italy, or support for Donald Trump in Roberts County, Texas. But allegedly objective narratives about any group are fallacious and should be treated as such. Even in examples of extreme consensus, a minority dissents. With that dissent, the possibility of objective fact, even to a narrow portion of the population, also collapses. What is left, then, is Emerson’s individual truth, which still allows for productive discourse and diversity of thought. A comprehensive review of a multitude of individual, subjective perspectives — Emerson’s truths—ensures a conclusion that, while not objective, is holistic, trending toward a collective, moderate, and probably more accurate result. This practice is crucial to our democracy, manifesting in various forms: juries, voting, and reporting, for example. Of course, even an optimized strategy can implode upon implementation. An all-white jury failed to convict the murderers of Emmett Till; foreign governments have attempted to sway American elections; mainstream news networks have been charged with partisan bias regardless of content. Critics of the contention that a communal understanding is better than a singularly definitive one may point to these examples as failures of this seemingly hodgepodge approach. In reality, the ideals were not the issue; the applications of them were. If networks were to actively incorporate the views of every subset of society and minimize their own commentary, they would surely be less partial. The all-white jury obviously did not have sufficient diversity of thought to come to a sensible decision. In a time where candid reporting is described as untruthful and political division gradually destabilizes the foundations of democracy, fantastic pursuits of objectivity should be abandoned in favor of sympathetic understanding of as many perspectives as possible. Moreover, the value of subjectivity transcends politics. There is an idea in Jainism, an ancient, nontheistic Indian religion, called anekant, which roughly corresponds to the notion of many-sidedness. Jainism accepts the limitations of ordinary or individual knowledge, instead giving weight to truth in relation to perspective. 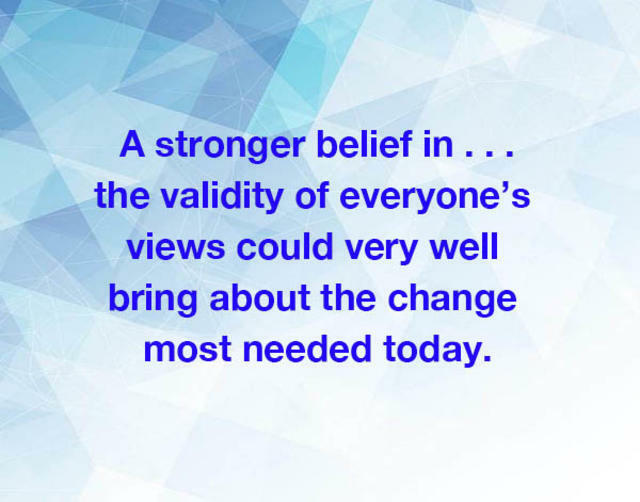 A stronger belief in this sort of empathetic thought, a subscription to the validity of everyone’s views, could very well bring about the change most needed today. With this shift we may finally re-establish the link that connects us all as humans: our humanity itself. Emerson, Ralph Waldo. “The American Scholar.” Phi Beta Kappa Society. August 31, 1837, Cambridge, Massachusetts. Michael Deschenes is 16 years old and lives in Pasadena, California. He enjoys writing, especially for his school’s newspaper, The Paw Print, for which he is the opinion editor. He also loves reading, camping, and playing badminton and basketball.